Athleisure. You’ve heard the word before, probably plastered on style and fashion sites, but what exactly is it? If we had to define athleisure wear, we’d call it the perfect intersection of style and comfort. Athleisure is a fairly recent fashion trend of wearing comfortable, casual clothing that can be easily worn for both exercise and for normal day wear. Leggings, cute hoodies, denim jackets, canvas sneakers, and cotton caps are all athleisure. After all, who doesn’t want to look cute and comfortable all day? Personally, we think cotton is perfect for athleisure. Did you know that cotton breathes better than synthetics, so you’ll be cooler during a workout? Or that cotton’s a natural fiber that looks good from gym to brunch? Cotton clothing delivers on two promises: performance and fashion. You can work out in cotton and also look super-stylish. If you’re looking for ways to master this effortless style, here are some things you should know. At the cornerstone of athleisure are the yoga pants, or leggings. Cotton leggings are the best choice for the athleisure trend: they’re the comfiest and most versatile, without that super-shiny synthetic look that’s only fit for the gym. Cotton leggings ensure you can go your whole day in one outfit, and its breathability means it’s good for your skin. 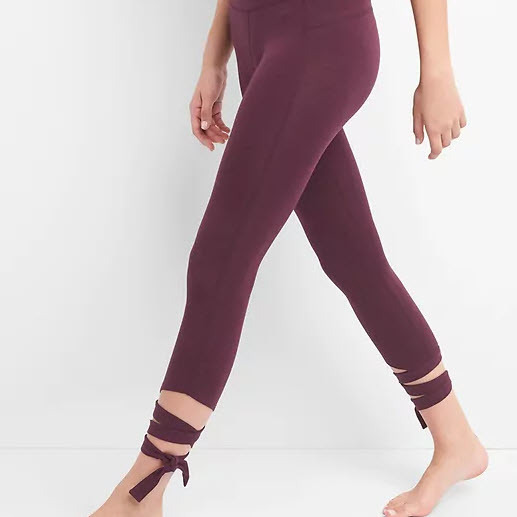 So for a super-chic, effortless, all-day athleisure look, get yourself a pair of cotton yoga pants in a variety of hues. We like a classic black, a heathered gray, and maybe a deep blue or burgundy you can mix and match with a lot of tops. Next, throw on a cozy cotton knit, or a classic cotton tank top. Graphic tees or cut-out tees are also very on-trend at the moment. Layer up with a soft hoodie, a long or oversized denim jacket, or flannel shirt. We personally like a black denim jacket, to add a little bit of edge to a simple day look. Finish the outfit with canvas sneakers in solids or patterns! Flats can also work great here. Going from work to dinner and need a quick change? Want to make sure you’re at your utmost comfort level throughout your day? Here’s how to dress up yoga pants. First, make sure you get yourself a sturdy pair, perhaps with a stripe or seam, to make them look more like trousers. Don’t worry—they’ll still be comfy. Next, switch out your sneakers for a mule or a heel. A simple patterned blouse is the perfect accompaniment—may we suggest something off the shoulder or gingham printed? A statement necklace or earrings finishes the look. Want to bring the athleisure trend to the office or on a date? Check out additional athleisure outfit ideas. Check out our Shop Collection below to #ShopCotton, and keep it comfortable all day.